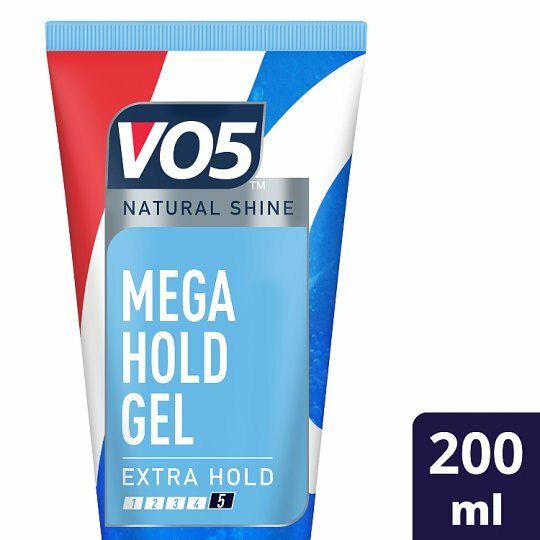 Vo5 Mega Hold Styling Gel offers 24hr extra strong control and is ideal to create indestructible looks. How to use: This product can be used on dry or damp hair. Work your hair section by section from roots to ends. Finally, mould into shape and leave to dry naturally. Style tip: For maximum lift, apply the product to damp hair and then blow dry. If you liked the Vo5 Mega Hold Styling Gel, be sure to check out the other Vo5 styling products in the range to remix your style and experiment with your hair even further! Don’t forget to leave a product review and share your best styling tips. Vo5: for hair play whatever your style. Use the product only as directed and avoid contact with eyes. If eye contact does occur, rinse well with water without delay. If irritation occurs, discontinue use.